GetDivorcePapers.com provides professionally completed, 100% court-approval, money-back guaranteed West Virginia divorce forms. Just create an account, complete the interview, and file for divorce. Our case managers do all the work for you, and send the completed West Virginia divorce forms when they are ready to be filed. At least one spouse should live in West Virginia for a year before filing. 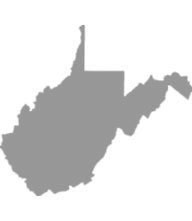 However, if the place of marriage is West Virginia, then there is no restriction towards residency. Divorce can be filed in the county where one of the spouses lives right now, or where they lived together as a couple. Purposeful separation for one year or more. Purposeful abandonment for a period up to six months as well as neglect. Fear of or actual domestic and physical abuse. Confinement for insanity or a felony. Cruelty and false allegations against repute. Written plans or agreements about child custody. Parent's current relationship with child, and the future prospects for it. Parents keeping the best interests of the child at heart and willing to make decisions for his/her benefit. Relationship between the parents concerning issues like decision making and childcare. History of domestic violence and approach towards protecting from future abuse. Contribution of each partner, financially, as a homemaker and also in childcare. The real value of the individually held properties of each partner. How the spouses treated each other in the duration of the marriage. Any contribution of one spouse towards the other that led to their becoming a better earner. Any income or work experience the other spouse forewent, due to force or suggestion or agreement of spouse to not work. Is there a child involved, and is the support seeking spouse the legal guardian? What are the financial resources of each spouse? What is the age, physical, emotional and mental health of each partner? What are the vocational and professional abilities of each partner, and what is their capacity to earn? How was the marital property distributed? What was the standard of living established during marriage? What are the financial needs, liabilities, assets and tax consequences of each spouse? Are there any other legal obligations on the spouse to support other people? Does the child have any special needs, such as a physical or mental disability? Does the parent have any special needs, including physical and mental disabilities? Are there more than six children in the family? Are there any unusual educational expenses? Are there long-distance transport and visitation costs? Does the child live with a third party legal guardian? Is there any other child or children that the parent is supporting? Where children are involved, the court can order the parents as well as the children to attend classes relating to divorces so they can protect their kids from the negativity surrounding the divorce. There is no need of a lawyer when applying for divorce in the state of West Virginia. A divorce case which is filed without any help of an attorney in any of the states is known as Pro Se Divorce. Literally, Pro Se is a Latin phrase and it means "on her or his own". Process of getting the divorce without the help of lawyer may vary from one State to another. These types of divorces are perfectly legal and enforceable in West Virginia, and are actually very convenient. Usually, once settlements have been made regarding property distribution and custody matters among the spouses in case of a mutual divorce, Pro Se Divorces are filed.